A CIEL HR Services survey predicts that nearly 2 lakh jobs are expected to evaporate in the sector over the next two years. Last week, a young software engineer from Andhra Pradesh, Gopikrishna Guruprasad, jumped out from his fourth floor Pune hotel window and took his life. In a suicide note he wrote, “In IT there is no job security. I am worried a lot about my family.” The 25-year-old first tried to slash his wrists; and when that did not work, he leapt out from his window. Despair in the IT industry is not just one this isolated case. Once the driver of growth and employment, the $150-billion information technology sector in India is seeing its biggest slowdown ever; and in the process, the largest dislocation of white collar employment. A CIEL HR Services survey predicts that nearly 2 lakh jobs are expected to evaporate in the sector over the next two years. For an industry that employs around 2.3 million hands, nearly 10 per cent of its jobs disappearing are a high price to pay. The survey says most of the job loss will hit segments like IT infrastructure support, testing and software development. Another recent survey by the business daily ‘Mint’ said seven of the biggest IT firms – Infosys, Wipro, Tech Mahindra, HCL Technologies, Cognizant, DXC Technology and Cap Gemini – together are targeting to let go as many as 56,000 employees this year, making it the largest retrenchment drive these companies have ever seen. Many analysts predict job losses this year will be double that of last year. Labour Commissioner. Again, a sector not familiar with trade unions is now seeing collective bargaining with the birth of the Forum of IT Employees (FITE). It has chapters in Bengaluru, Hyderabad, Kolkata and New Delhi. The bloodbath in the industry has some discernible reasons. The IT industry is inextricably linked to the global economy, and in particular to the fortunes of US’ booming Silicon Valley. With Donald Trump’s victory, the US has been busy erecting firewalls to keep jobs for its own citizens. On the ground, it has meant stopping H1-B visas for the bottom-of-the-pyramid jobs, which in turn has translated into layoffs in Bengaluru and Hyderabad. 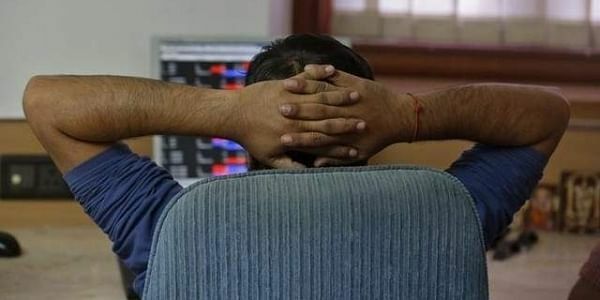 The writing on the wall for the future is clear when the largest of the IT giants, TCS posted a 10 per cent quarter-on-quarter drop in June quarter net profit at Rs 5,950 crore, and revenue for the last quarter marginally fell to Rs 29,584 crore against Rs 29,642 crore reported for the previous quarter ended March 31, 2017. Ironically, technology upgradation, which is what IT is all about, is also taking a toll. Jobs based on simple technology are giving way to automation. The normal process of advancing technology has been speeded up in keeping with the new business environment. As a result, the new technology of artificial intelligence, data sciences, 3D modelling, virtual reality, augmented reality, and cloud architecture are making IT systems more efficient and also eliminating jobs at the bottom of the pyramid. The situation in the country has worsened because of the lacklustre performance of the government on generating new schemes and avenues for employment. The answer to be given to young software engineers is: don’t despair but reskill yourselves, especially in the areas like artificial intelligence and cloud architecture which are currently leapfrogging. More than acquiring new technology, the current spell also highlights the need to develop business skills. The need of the hour is to convert new creativity into entrepreneurship and start-ups rather than follow the beaten path of job searches. All this does not absolve the IT majors of over-hiring when the going is good. It is part of company strategy to acquire talent early and at low cost; and to deny the competitor access to the same set of skills. However, when the going gets rough, the treasure trove of talent becomes a burdensome milestone, to be expunged at will. This shows poor social responsibility as well as bad business strategy.